California Child Custody Frequently Asked Questions: Child custody can be one of the most argued over and modified issues in family law in California. If you have questions about a child custody case, it is always best to discuss your situation with a qualified family lawyer in California. We have put together a list of frequently asked California child custody questions that we tend to get from our clients. Remember that if you have case-specific questions, you should ask an attorney for advice specific to your situation. What are the Differences Between Physical Custody and Legal Custody? Do you know, the Differences Between Physical Custody and Legal Custody? 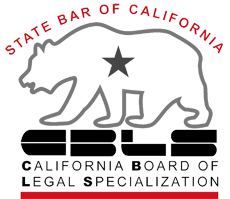 Under California law, legal custody and physical custody both need to be determined in a child custody case. 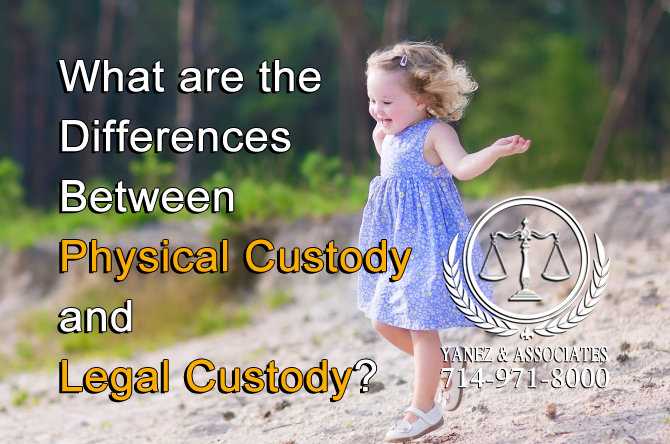 Physical custody refers to which parent the child will live with. The child will usually either spend time living with both parents, or will live with one parent and usually visit the other. Both physical custody and legal custody can be either jointly or solely granted to both parents or just to one. Just because one type of custody is granted solely to one parent does not mean that the other type of custody will also be solely granted; it is possible to have sole physical custody and joint legal custody, or vice versa. However, when it is used by lawyers, judges, or those involved in a custody case, it is used in place of the term “sole physical custody”. When one parent is granted sole physical custody, it means that the child lives with that parent. If one parent has sole physical custody, the other parent may have visitation rights. Just because one parent has primary custody, or sole physical custody of a child, does not mean that the parent also has sole legal custody. 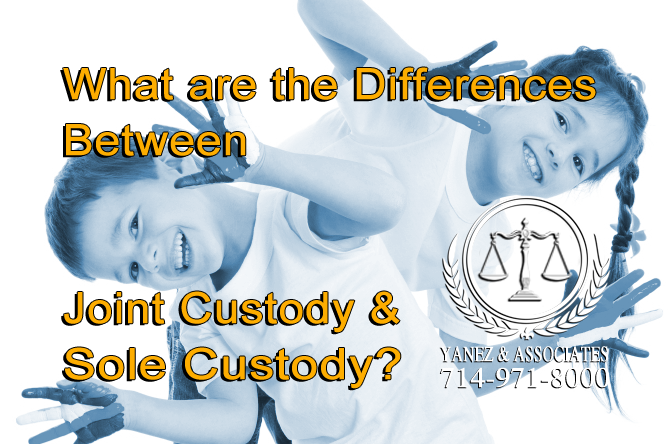 What are the Differences Between Joint Custody and Sole Custody? Do you need help understanding the Differences Between Joint Custody and Sole Custody in California? Sole custody refers to a situation where one parent is granted control of either physical custody, legal custody, or both. The other parent would have to respect the decisions of the parent with sole custody. If one parent is granted sole physical custody, it means that the child lives with that parent. Usually, when one parent is granted sole physical custody, the other parent is granted visitation rights. If one parent is granted sole legal custody, it means that that parent has the legal right to make all decisions regarding the child’s life. Joint custody refers to a situation where both parents share control over either physical custody, legal custody, or both. If both parents are granted joint physical custody, it means that the child spends time living with both parents. The time spent at each parent’s home may not be exactly equal, but it will be close to equal. If both parents are granted joint legal custody, it means that both parents are responsible for jointly making decisions regarding the child’s life. It is possible for one parent to have sole physical custody while both parents share joint legal custody. This might work in a situation where the parents are on good terms with one another and both parties are able to put the child’s best interests ahead of their own, but the parents do not live close enough together to make joint physical custody feasible. It is also possible for two parents to share joint custody but for one parent to have sole legal custody of a child. This arrangement might work in a situation where the parents cannot agree on decisions for the child (perhaps the parents have different religious beliefs), but both parents are able to provide a safe home for the child and joint physical custody is feasible. 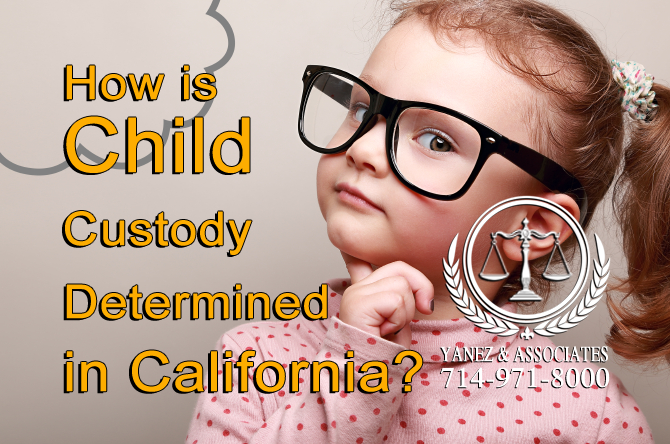 How is our Child Custody Determined in Orange County California? Child custody can be determined either by the courts, or on your own outside of the courts. Consider child custody mediation if you are interested in setting the terms of your child custody agreement outside of court, but remember that you will still need to consider the following in any custody agreement. When determining child custody, the following factors are important considerations. • The child’s age - Children of different ages have different needs, and those needs need to be accommodated. It is possible to modify child custody orders as a child grows and matures. • The child’s health - If a child has certain health care needs, he or she may need certain things as far as child custody. • Relationships between the child and parents - In most cases, it is in the child’s best interest to maintain healthy relationships with both parents. If either parent tries to obstruct a child’s relationship with the other parent, it can affect custody. If the child has little or no relationship with either parent for any reason, that parent will likely not be granted custody until a relationship can be built. • Domestic violence and abuse - It is never in a child’s best interest to be around abuse or violence. • A child’s ties to his or her community - It is generally not in the child’s best interest to be taken from a community or school where he or she has established a life, and these relationships could affect custody. What if the Child’s Parents Live too Far to Share Custody? What do parents do if they live too far to share Custody? In most cases, it is in the child’s best interest to spend time with both parents. However, when the parents live to far from one another to feasibly share custody of a child, it is common for one parent to be granted sole physical custody, while the other parent is granted visitation rights. Depending on the relationship between the child’s parents, and the relationship between the child and the parent, the court may choose to issue different kinds of visitation orders. If it is not in the child’s best interest to have any relationship with the noncustodial parent, then no visitation may be ordered. The three ways that visitation may be ordered are as follows: according to a schedule, reasonable visitation, and supervised visitation. The strictest among these three is supervised visitation, which requires visitation with the noncustodial parent to be supervised by either a professional, the custodial parent, or a third party. In the middle is visitation according to a schedule, which allows the noncustodial parent to spend time alone with the child, but outlines a strict schedule as to when and where the visitation will occur. A visitation schedule ordered by the court may include things like holidays, birthdays, vacations, breaks from school, and can be detailed enough that it says who, where, and when all exchanges will occur. On the other end is reasonable visitation, which includes a general guideline as to how much time a child is to spend with the noncustodial parent, but it leaves the specifics, including dates, times and how to do exchanges up to the parents. This type of visitation is usually best in scenarios where the parents are on good terms. 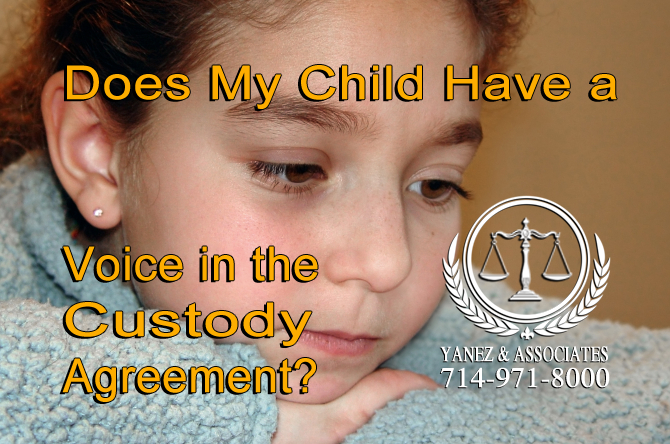 Does My Child Have a Voice in the Custody Agreement? Wondering if your children have a Voice in the Custody Agreement? In California, a child’s voice in his or her own custody agreement is a controversial area of the law that judges are still getting used to. In general, children who are at least 14 years old are likely to be invited to share their opinion in court, if the court decides that it is in the child’s best interest to do so. However, children under 14 years of age are not to be prevented from stating their opinion to the courts. The court is legally required to protect the child and control the environment in which they share their opinion. It is possible to work out your child custody agreement outside of the courts, and to listen to your child’s opinion and factor it into a child custody agreement that you and your child’s other parent create together. Consider child custody mediation if you are interested in this method. YOUR child's “Best Interest” is what is important! A child’s best interest is the main determination in child custody. All decisions regarding custody will be made in the child’s best interest. This can vary depending on the child and his or her background; therefore child custody is different for every child. A child’s age, health, relationships with parents, other family, school, and community, and the child’s history determine the child’s best interest. Other factors may be considered if the judge decides that other factors are important. Your consultation is free; therefore, you have nothing to lose. We will be happy to answer your concerns. If you have questions about child custody in California, you should contact a qualified child custody lawyer in your area. At Yanez & Associates, we offer free initial consultations so that we can get to know you and your case, and you can get to know us. Contact us today to schedule your free initial consultation. 2 What are the Differences Between Physical Custody and Legal Custody? 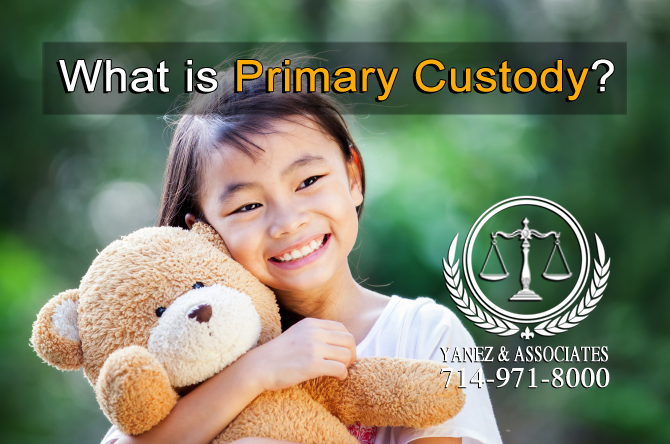 3 What is Primary Custody? 4 What are the Differences Between Joint Custody and Sole Custody? 5 How is Child Custody Determined? 5.1 When determining child custody, the following factors are important considerations. 6 What if the Child’s Parents Live too Far to Share Custody? 7 Does My Child Have a Voice in the Custody Agreement? 8 What is the “Best Interest of the Child” Standard? best OC custody attorney, child custody, child custody attorney orange county, Child Custody Lawyer in the OC, custody attorney in Orange County, Does My Child Have a Voice in the Custody Agreement?, How is Child Custody Determined?, OC child custody attorney, Orange County California Child Custody Attorney, Orange County child custody attorney, orange county child custody lawyer, orange county custody lawyer, What are the Differences Between Joint Custody and Sole Custody?, What are the Differences Between Physical Custody and Legal Custody?, What if the Child’s Parents Live too Far to Share Custody?, What is Primary Custody?, What is the “Best Interest of the Child” Standard?